There is no happiness in smallness of the being, says the Scripture, it is with the large being that happiness comes. The ego is by its nature a smallness of being; it brings contraction of the consciousness and with the contraction limitation of knowledge, disabling ignorance. ... To recover what is lost we must break out of the worlds of ego. All the parts of the being broaden in order to progress. 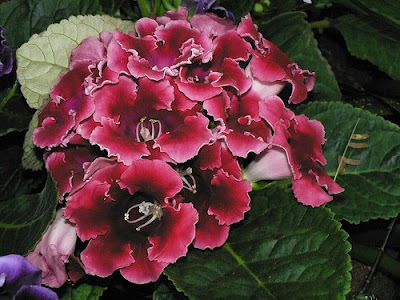 Showy medium-sized single or double velvety bell-shaped flowers with a spreading limb divided into five to twelve lobes with ruffled edges; in many colours; borne singly or in small clusters on long stems. A low tuberous perennial herb with broad pubescent leaves. This heralds the progress and effectiveness of the being. Medium to large single or double funnel-shaped bicoloured flowers with satiny overlapping lobes and a short staminal column covered with loose yellow pollen; borne on tall spirelike stems. A tall biennial herb with rough hairy leaves. It blossoms in harmonious receptivity. 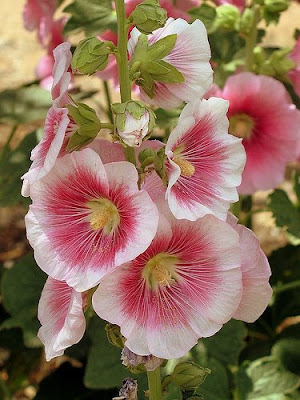 Large trumpet-shaped light pink flowers with reddish pink lines and a white streak through the middle of each petal; flowers with six flared petals and long curving stamens; borne on tall sturdy scapes. 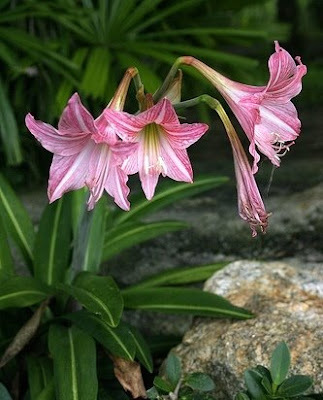 A large bulb with thick, usually strap like leaves that appear after the blooming season. Small white salverform flowers with five rounded separated lobes that emerge from a spiny bracted spike. An erect spiny shrub and herb. The first stage of transformation. 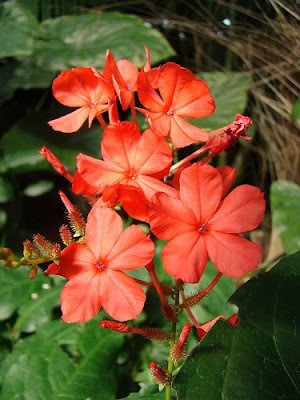 Small pinkish red salverform flower with five rounded lobes and a thin corolla tube, set in a dark red tubular calyx covered with hairs; borne in spikelike racemes. 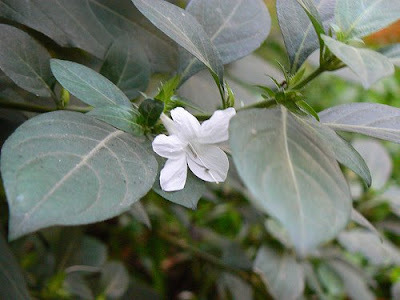 A semi-scandent evergreen shrub.